Google is all about improved integration of its apps and services these days, and to that end it's rolling out an update for web apps that makes your favorite sites more readily accessible from more places on your Android device. The change centers around Google's Progress Web Apps, which act as shortcuts to websites, and can be pinned to your device's home screen. This is convenient, letting you jump right to frequently visited URLs, but now Google is going one step further by more deeply integrating web apps with Android. 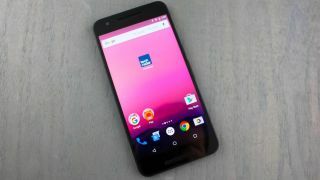 An updated Add to Home Screen feature, rolling out in Chrome beta over the next few weeks and eventually as the default setting, lets users launch a web app from wherever they would a native app, namely the app drawer and Android Settings. Users will also be able to receive intents from other apps - basically invocations for the web app to perform a task - and a long press in notifications will pull up the standard Android notification management controls for the app rather than controls for Chrome. Not only does the update offer greater convenience for users, but it could encourage developers to create more web apps as they're more likely to see increased engagement with their applications. Apple's iOS lets you add a Safari shortcut to a website on your home screen, and Google's move will no doubt heat up the battle between the two tech giants for mobile OS and web browser supremacy. For its part, Google says it's committed to making sure Progress Web Apps can be installed for any browser supported on its mobile platform, and another Google post teases more improvements for web apps are in the pipeline.